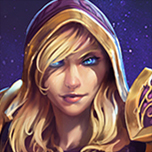 In the 3rd Comic, it seems like they're really pushing Orphea as the new hero and therefore making her potentially the first official HOTS original character. 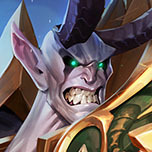 Personally NOT a huge fan because I think the whole of point of Heroes of the Storm was a fun 'what-if' scenario if all of Blizzards classic characters came together and have interesting interactions and mix-up battles, adding something completely new outside of Blizzard universes kinda makes that idea void. The Heroes of the Storm Tutorial pretty much demonstrates a good example of what kind of story Blizzard should be going through.A simple explanation that "Heroes from different universes get teleport in a zone where everyone fights" is good enough. They already have very interesting characters from all the different universes from WoW, Starcraft, Diablo and Overwatch. They should just focus on those characters interacting with each other and making some fun conflicts like "Lich King vs Diablo or Scourge vs Zerg" situation rather than adding something outside of the mainstream universes. 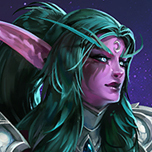 Not saying they should never add a original character, but I think they should really just use the good resource material they already have established, not something completely new because it'll alienate people who came to play this game because they want to see stuff like Kerrigan vs Sylvanas but instead they see a completely new character that they've barely heard of. I can guarantee you, that people would enjoy classic Blizzard characters fighting each other instead of a classic character vs someone completely unheard of. They'll have to put way more backstory on Orphea (like Jaina level of backstory) to make it more interesting because right now she's really 'meh' and I rather see something like Grom Hellscream or Deathwing added in the game instead of her. 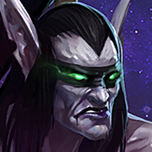 I rather have a event that makes you either pick Gul'dan side or Medivh side, that would be a much more entertaining story than what we have right now. No. I like the Fall of King's Crest storyline. It's funny and lets them build an original canon without messing with other universes. Yes I understand the current story is not so bad but I just think they're missing out a massive oppoturtinity to make differnt universe characters interact and fight over for power or whatever. I mean that's the main point of Heroes of the Storm, to see all their universes characters fight in a 'what-if' scenario. It doesn't need to mess with their actual canon story since Heroes of the Storm is already a what-if scenario to begin with. I think the fact that we haven't had a 'Scourge vs Zerg' event already is depressing. Like I said earlier, I'm not saying they should completely remove the idea of working on original characters I just think they should really use the established universes characters since that's kinda the main fundamental part of Heroes of the Storm. 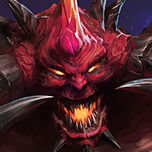 Surely some characters like Gul'dan or Lich King or Prime Evils would be interested in grabbing the Singularity's power for themselves? I find it hard to believe they aren't doing anything to build up their status in the Nexus-World. I rather have events where different universe characters fight each other. 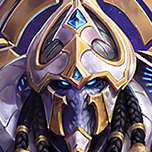 The idea of having a event where it's like Lich King vs Kerrigan and you pick which side you want to help sounds really fun. Let's be honest most of us would have 0 interest in this game if they didn't have any of the original blizzard characters in this game. I could actually imagine Orphea being replaced by a original Blizzard female character and I wouldn't be bothered by it at all. I don't see how you lose anything. All the chars that you want to put against each other are all still there. I truly do not understand people who want a canon Nexus story. This game is a franchise mashup pvp brawler. 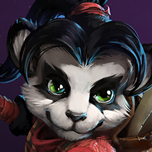 If you play mobas for the story you're playing completely the wrong genre of game. I liked the game when it didn't take itself seriously and was nothing more than just a bunch of heroes from different worlds getting yanked from whichever dimension they were loitering in then being forced onto teams to fight for the various goofy rulers of the Nexus. This is one of the few games that I do not mind not having a campaign because it never needed one to explain why all the heroes were yanked into the Nexus. Personally, I dislike any game that creates a story that is not part of the game. It is just a very cheap and poor way to add a story to a game no matter how you look at it. They should have made a battleground similar to Towers of Doom but instead of the Grave Keeper and the Raven Lord clashing it should have been the Queen of Thorns and the Raven Lord. One side could summon the Dragon Knight, the other used the Raven Lord's curse. Would have been a whole lot better than the stupid rework done to Garden of Terror. I feel like having an ""original"" character in HoTS is gonna end up like a flop idea loke adding "multi-class" into this game. It's over design and brings no real value to the game itself. 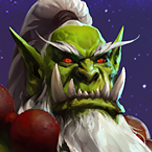 I don't want to see the new hero of the month not being from any already existing Blizzard game. Like imagine you are making "original" playable characters for Smash Bros, nobody gets hyped,nobody cares, they wanna see a character they remember and know. I don't like the story, I find it REALLY linear and boring. I think that they could've done much better on the implementation of the current story within the game. It doesn't feel immersive to me as the player; it feels like a new event chore to get skins/sprays/portraits/banners/mounts. As a player, I have no role in the outcome of the story, which is something HotS lacks. I always viewed The Raven Lord (a revamped Medivh if you ask me), The Queen of Thorns, The Gravekeeper, etc... to be arena masters. 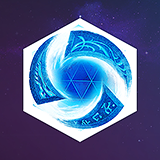 To which, players who play skillfully on certain maps and/or heroes would get certain allegiance points towards one of the arena masters. After a certain threshold, the arena masters would reward the players with skins and other goodies with low chances of skins and goodies from other allegiances. The original hots character can't be any worse than "Morales," "Hammer," "Probius," etc, etc, etc. It's Heroes of the Storm, not "Random units from our RTS games" of the Storm. Yet, despite that. Here we are, with all of these rando characters that only got names and the barest hint of personalities in order to make them enough of a "hero" to not just be "Generic Medic/Tank/Whatever #XXXX." What's next? 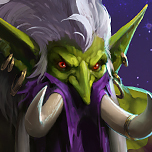 They'll release one of the random creeps as a hero and call it "Creeperson?" The franchises have plenty of "Heroes" to include, we aren't in the ballpark of needing any random units being "heroized" nor are we to the point of needing HotS original characters. Hopefully the linear part is more of a foundation to bring in and justify the "Realms" including stuff from Blackthorne. 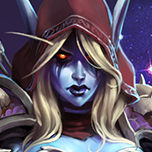 I think it's okay really and honestly would not mind seeing a HOTS orginal person in game. I fully respect your ideas so dont get me wrong. I mostly play for a heroes role/kit dont care if I like the person or not. 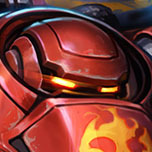 I agree, I think they should have gone with a more comic relief-heavy approach to the Nexus, like the Carbot strips do. Or those chinese "Beyond the Worlds" episodes (google them, they are really well made). 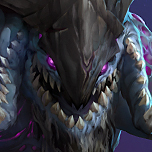 Also Orphea is creeping me out. Feels like the character was made to cater to a ...uhm... weird fetish that a lot of online gamers seem to have. Like, I'm in no position to judge other people, but I can't deny that certain stuff simply irritates me. It's just ONE original character dude. You will get your General Horde Mc. Prime Evil soon enough. What, no mention of how the Raven Lord is essentially Medivh 2: Electric Boogaloo? People apply to Blizzard to make their dreams come true not to make you happy with your stupid legacy heroes. This game doesnt need a story.It needs a better balance team and a better marketing team. 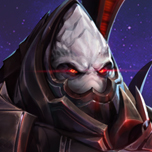 Whatever you think of adding Lore to the Nexus, I think the majority can agree that the comic was a let-down. It offered no real worldbuilding, background, or character development. Generic OP Badguy with Generic OP Badguy Mooks attack Generic UP Goodguy with Generic UP Goodguy Mooks. Generic OP Badguy wins because Generic UP Goodguy and Goodguy Mooks are generically underpowered, stupid, and/or incompetent. It was all flashy-sparkly-boom-boom combat and no real grit or development. I didn't learn anything from this comic beyond that whoever is in charge of the HotS lore is just as incompetent as the rest of the HotS developers. 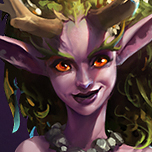 If you're going to add lore to HotS, at least make sure you're adding real lore and not just a fanboi-service action comic you're pretending is lore. As soon as they start adding Nexus-based heroes, this game becomes no different than League of Legends or Dota, with their no-name heroes. I play HotS (what little I still enjoy these days; ARAM) because my heroes have names and are backed up by decades of story. Not because my heroes were featured in comics put together by some intern artists.